Born in the right place at the right time. That’s the author of this marvelous memoir, who was raised in Palo Alto, located approximately forty miles south of San Francisco, in the sixties. Due to Andy’s long and lean physique, he was dubbed California Slim by his peers, and embraced the counterculture movement of the decade with guts and gusto. The revolution really kicked off for Andy as early as 1962, when he grabbed a guitar and took lessons from Jerry Garcia, who was still a few years away from making the grade with the Grateful Dead and proved to not be the most patient or focused teacher. However, Andy eventually became close friends with Jerry, as well as other members of the Grateful Dead. Although Andy was a truck driver by day, he yearned to get involved with the fertile regional music scene. Along with a buddy, he formed Crimson Madness, which created and manned the psychedelic lights for gigs held at various venues about the Bay Area. Fleetwood Mac, Tom Rush, the Grateful Dead, Clover featuring a young Huey Lewis, BB King, Albert King, Tower of Power, Boz Skaggs, Cold Blood, and Mason Proffit were just some of the acts Andy provided the lights for. The early to mid-seventies saw Andy owning and operating Homer’s Warehouse, a club based in Palo Alto. Together, who ultimately morphed into Pablo Cruise and achieved nationwide success, a pre-Starship Mickey Thomas, Elvin Bishop, Asleep at the Wheel, Sonny McGhee, Brownie Terry, and Jerry Garcia are all but a brief mention of the artists that performed Homer’s Warehouse. Boasting a cool and casual atmosphere, the club not only offered a diverse selection of sounds, but it was technically innovative. Installed in the club was Pong, the first-ever video game, which Jerry Garcia was hopelessly addicted to and had to be literally pried away from the machine on numerous occasions. Andy further put on shows at the beautiful and legendary Stanford Theater in Palo Alto and hooked up with Willie Nelson, who he extensively traveled with. Altamont and Woodstock, both of which Andy attended, are covered with less than pleasant memories. Ditto for his stint as a dope dealer. Banana slugs, a beer strike, Hell’s Angels, financial highs and lows, trucks, lots and lots of pot smoking, and plenty of horseplay and joking around with pals and musicians complete the book. 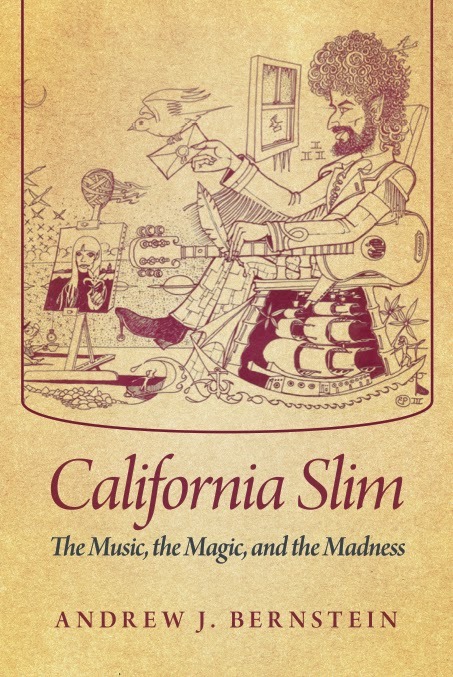 A fun and fascinating look at the music, people, and lifestyles of the late sixties and seventies, “The Music, The Magic, and The Madness” should be read by anyone and everyone interested in the period. Andy’s experiences are detailed, direct, and laced with loads of humor. Here’s to a standing ovation!